A beautiful eyeshadow palette with 10 intensely pigmented shimmery shades. All shades have a breathtaking beautiful metallic finish! Thanks to the unique long lasting formula you can apply these shades super easy and they are all ultra blendable. 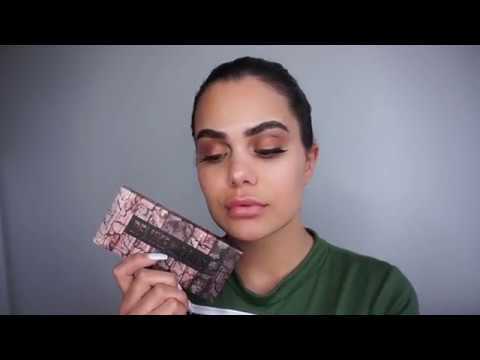 Barry M Deluxe Metals Eyeshadow palette is an eyeshadow palette with beautiful warm shades. You get no less than 10 intensely pigmented shimmery shades, all with a breathtaking beautiful metallic finish! Thanks to the unique long lasting formula you can apply these shades super easy and they are all ultra blendable. If you can not get enough of glitters, you can apply this eyeshadow with a damp brush to make the luxurious metallic finish even more intense! Contains 10 intensely pigmented shimmery shades. Contains : 10 x 0,7 g.